​​​​​​ ALLEN – Plans have been revealed for a 135-acre corporate campus and mixed-use project called The Strand. The Strand will be developed in stages at Hwy. 121 and Alma Dr., with Phase One yielding 200,000 sf of office accommodations, retail space totaling 80,000 sf and urban residential space. 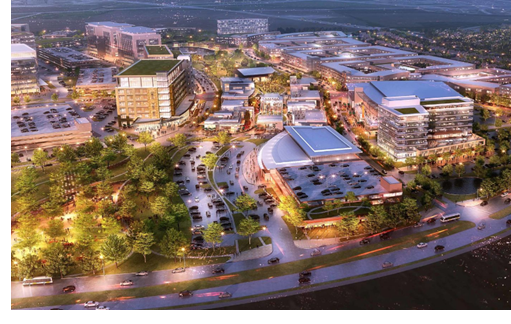 Phase Two and Phase Three will bring an additional 1.5 million sf of office space to the site, as well as 300,000 sf of retail and more urban residential options. ​​Presently, there’s no firm timetable for the development. Don't forget to check out DFW Multifamily, Office​, and ​Retail Market Research.